I've been spending a lot of time in Brooklyn lately. Specifically, Williamsburg. Now, I don't claim to be a Brooklyn expert - so all you persnickety Park Slope-ers and Bushwick babes can just cool it. I know I don't have a robust or well-rounded knowledge of all the hidden jewels of the borough. I've strolled the streets and waterfront of Williamsburg, and ended up in Greenpoint without knowing it. Though Manhattan is home, Brooklyn is my favorite getaway - and it's just a subway stop (or 3) away. The gems (both known and unknown) I've experienced over there in BK have produced some of the best meals, days and dates I've had since moving to New York. I thought I'd share some of those places with you this week; I'm feeling inspired after a particularly rousing night at an exclusively whiskey and grilled cheese joint on Sunday. ALLSWELL: This little "hipster farmhouse" as I would call it is just a little trot down Bedford Street from the subway stop and has become a fast favorite. The wait can be monstrous, but you can stroll through McCarren park while you wait and the hostess will text you when your table is ready. The house bloody mary is heaven, the biscuits are a must and the music is great. FIVE LEAVES: Again, you're gonna wait for a table here if you arrive after 11 a.m. While you do, hop across the street to that big Mexican place and have a couple of $5 bloody's or mimosas. Then go back and feast. The french fries are amazing and the hot whiskey cocktail is tops. Fast fact: this was Heath Leger's project, but he didn't live to see it come to live - it was completed with money from his estate. ENIDS: On the other corner on the Greenpoint side of McCarren Park on Metropolitan Ave is Enid's. Their gigantic bloody mary is the second best I've had in Brooklyn, and the food is great. OLEA: This little spot is out in Fort Greene, near the flea market so just make a day of it. The food is delicious and inexpensive, but the bloody mary is award-winning and the very best I've had ... well, ever. CHAR No. 4: I went on an epic date here with a guy who soon enough turned out to be less than such. We sat at the bar, ate mountains of southern food and flirted over stiff whiskey gingers and bourbon neat. It's busy, it's cool and the hanger steak is divine. THE GUTTER: I didn't go to this place on a date - but I certainly want to now. 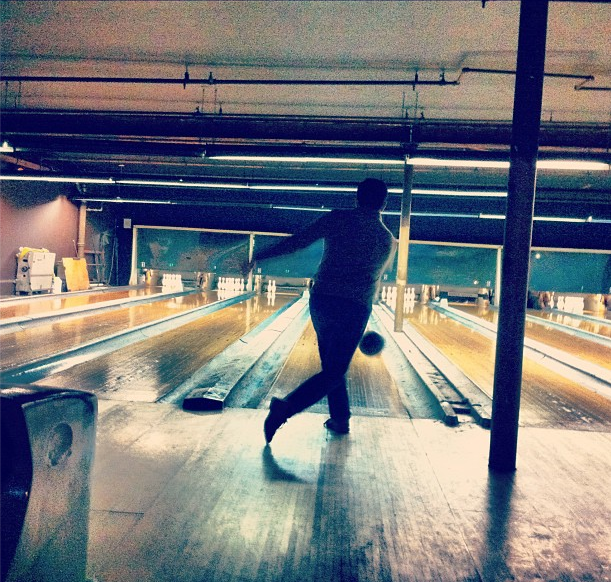 I went with friends after a boozy brunch at Five Leaves and we bowled a game while sharing a pitcher of beer. As contrived as it sounds, bowling is one of my favorite date activities: it's playfully competitive and just plain fun. NOORMAN'S KIL: This is that whiskey and grilled cheese joint I mentioned. It has a good vibe, an extensive bar - and even a fancy bourbon called Taylor. If you go, get the Orange Manhattan on the rocks in a tumblr, and chase it down with the brie-and-mushroom sandwich. You'll be hard pressed to find a better $9 cocktail in this city. WEATHER UP: So, this place is actually in Prospect Heights, and I went years ago. I was on a marathon date with a foodie guy - it must have been close to midnight on a Wednesday when we dropped in, leftover pizza from dinner in hand. We gave the bartender out leftovers and he made us two of the best whiskey cocktails I've ever had. SPRITZENHAUS: German beers, pretzels and board games. There are babies sometimes, but it's fun and the fire is warm and the windows are big. RADEGAST: More young adult than Spritzenhaus, and in the afternoons there's a band. The kind with a tuba and guys in lederhosen. I've done daytime and nighttime here, but the night crowd is just that - a crowd. THE IDES AT THE WYTHE HOTEL: The 6th floor (indoor/outdoor) bar at this Williamsburg hotel just began opening at 2 p.m. on weekends. Get up there early, grab a seat by the window and take in one of the best views of the Manhattan skyline I've ever enjoyed with a cocktail in my hand. Where do you go in Brooklyn? Share your favorite spots, please! i'm so not an expert on brooklyn either...so this list is very helpful! i'll have to share your picks with my husband and maybe we'll have to head out of manhattan this weekend to check some of them out! These are some of my favorite spots as well, especially Noorman's Kil, Gutter, and Char No. 4. I would add Court St. Grocers for the best Turkey Club you will ever have, Henry Public for excellent cocktails and french fries, Home/Made in Red Hook for a truly homey experience, Pok Pok NY for street Thai food, Petit Crevitte for amazing BYOB seafood, and the Grocery/Battersby for a really fancy/delicious dining experience. I live in Carroll Gardens, so most of my experiences are there, but it's worth the trip for in my opinion! Keep exploring! Ahhh amazing tips, Looks & Books - I have A LOT of ground to cover. I went to Lucali in Caroll Gardens before it closed, loved that place. Best pizza I have EVER had! Cant wait to get back to Bklyn!!!! Love your blog. Been following you since you were still in Cali and working at Anthro!!! Check out my blog with friends: www.blahblahbirds.wordpress.com Would love to feature you on my monthly Make-Up Mondays series! Check it out and let me know! 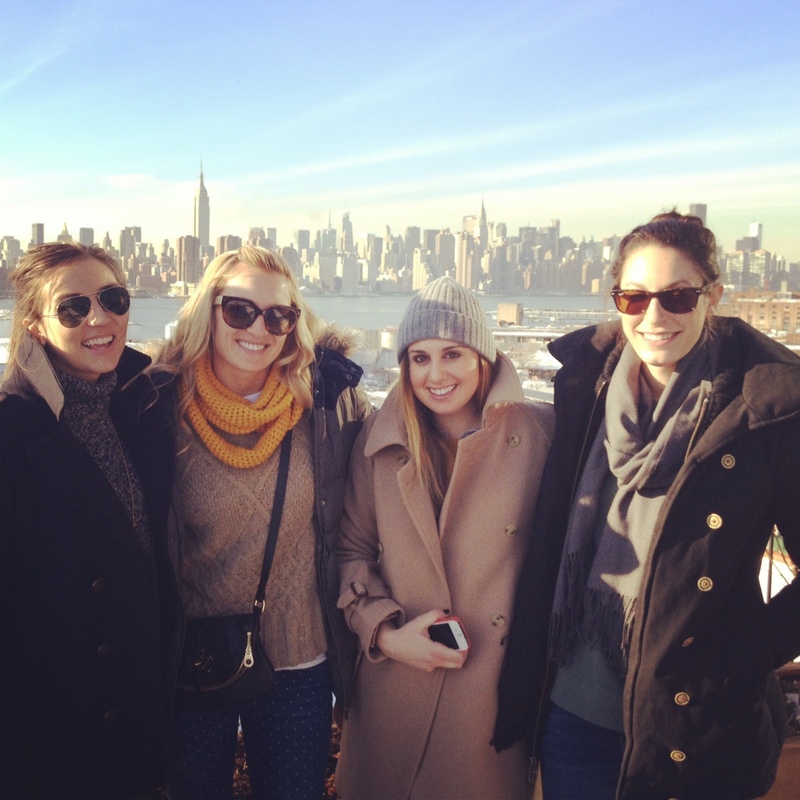 although this isnt a food/beverage place, you should hit up brooklyn charm in williamsburg. they have awesome jewelry and cute charms to make simple pieces yourself! Thanks lcs - I'm down for ANY tips, no matter the type so thank you!! Ides bar, damn it, I will back there for sure some day.